Sometimes you can lose faith as a sports bettor. This can certainly happen when you lose the swing game numerous times in a row. The swing game, topper, final bet of the night are all the same thing. It is the game that for that night will make you a winner if you’re right and give you profit or it will make you a loser and put you in the red. Not that long ago when I was betting over the course of three days the swing game was definitely the final game of the night. It had to be won in order for a profit to be realized. The first night the Yankees were playing the Angels on the West Coast. The over/under was on. 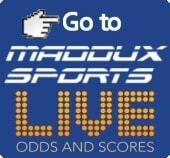 Wagering on the over, which was 7½, the bet was lost as a total of 7 runs were scored in the game. That type of loss is always a tough one. You simply have to say it’s all part of the enterprise known as sports betting. The next night once again the bet was on a MLB contest. This time it was between the Dodgers and the Giants. The Giants looked good and they had the run line at +1½. Over the past two games, they had easily been hitting Dodger pitching and had made minced meat out of their relievers by using the long ball and doubles. I bet on the Giants. But this particular game the San Francisco bats were silenced. It turned into a pitcher’s duel and Los Angeles won the game 2-0. The Dodgers had three hits and so too did the Giants. But Los Angeles had managed to manufacture two runs. The bet was a good one but it did not pan out. The next day looked good. Up one unit the hope was that the two-unit bet on the Dallas Mavericks and Sacramento Kings would pan out as the Mavs were at -9.5 and we bet them with the point spread. The good news was that Dallas beat Sacramento. The bad news was that they won by nine. That’s right, nine points and not the 10 that was needed to be up three units and make up for the past few day’s loses. This was a three-day losing streak that was based on three games that were bet on and were all so close. But not so fast, we had one more game for the night. It was a hockey game between the Vancouver Canucks and the Edmonton Oilers. Yes, that’s right hockey was part of the scenario. The puckline had the Canucks at -1½ and they had won 3-1. What was the result? It was a three-unit win as the smart money was on Vancouver. That hockey game had saved the day for us, putting us over the top by two units and allowing us to be even over the past three days. There you have it, the bets had really evened out. One thing should be pointed out. The losing streak was broken with perseverance and by betting on a variety of sports. Hockey proved to be the savior. (This time.) Sometimes that’s the way that it works. Sometimes you can’t buy the run you need in baseball or the field goal you require in basketball. But the goals were there on the ice to ensure a plus-side end for the good guys. The fact is you never know where you’re going to find those points, runs or goals that you need. And you can never be sure when you’re going to hit a streak of bad luck, which was what the losing streak was all about. The losses were too close to be bad picks. Here are some things to keep in mind when you keep losing the bet on that game that would have resulted in your making a profit. Don’t get emotional. This is the time to get analytical. Sure you’re going to get frustrated and upset but don’t let those emotions take over your thinking. Keep your focus on what’s important and that’s making smart sports picks. Also, make sure that you are paying attention to details and doing a first class job as a sports handicapper on each and every pick. If you’ve succumbed to being sloppy in your analysis, then you’re going top run into trouble. Finally, don’t start grasping at straws and making crazy bets or wagers based on gut feelings. You may win the next time you bet but you won’t be able to repeat the process consistently, and you could just as easily lose and dig yourself into a deepening hole and reduce your bankroll. With a little patience and fortitude we were able to turn our situation around. It all did even out. Remember to look at all possible lines, for value in a spread and where the smart money is going. Then make your bets accordingly. Bad luck will eventually turn around. That’s simply the way that life and sports betting works.